At one point tonight, I was listening to a song from 1923, played by a drummer born in 1935, with a pianist and bassist both about half the age of the drummer. 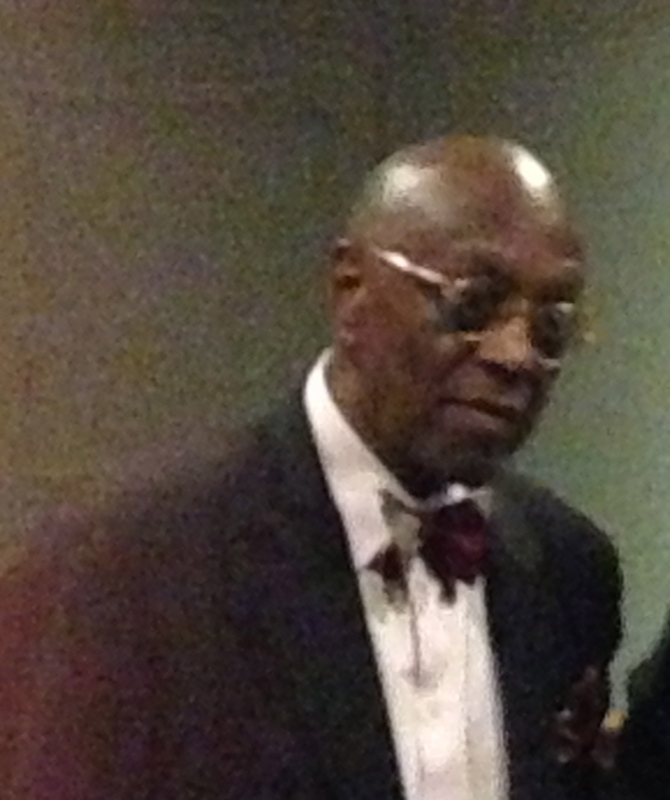 It was the Tootie Heath Trio playing James P. Johnson’s “The Charleston” in a concert presented by Ars Nova Workshop at the Philadelphia Art Alliance. I felt like the whole history of jazz was vibrantly alive before my eyes and ears. With Tootie on drums, Ethan Iverson at the piano, and Ben Street on bass, the group offered much musical joy. Heath, a historic figure with a jaw- dropping discography, is truly a percussionist, not a drummer – there was some amazing tambourine playing tonight. The variety of colors, the endlessly imaginative ways of marking the ends of phrases, and the deeply swinging time – all this was combined with a wit alert to everything happening around him. Tootie also offered some remarks, including indescribable tall tales of growing up in Philadelphia, and various deliciously bad jokes. It was fascinating to hear Iverson in a context more straight-ahead than that of The Bad Plus, the trio where he is most often heard. There were still Iversonian elements: the Monk influence; the preference for understatement; the absence of empty or rote flourishes; the strategy of sequencing a melodic cell regardless of the harmonic consequences – and then magically leading those consequences to a perfectly logical, albeit unexpected goal. His playing was also admirable simply as piano playing for its variety of colors, created with a variety of playing techniques: flat-tish fingers clinging to the keys for delicate nuances (as in a very touching “Memories of You”), more curved, pointed fingers for shouting passages. I must admit I was paying most attention to Heath and Iverson, but I was struck by the warmth of Ben Street’s sound, enriched at times by elegantly executed double stops or pizz tremolo. Iverson announced that the trio would be recording again in the next few days – that disc is instantly on my wish list.